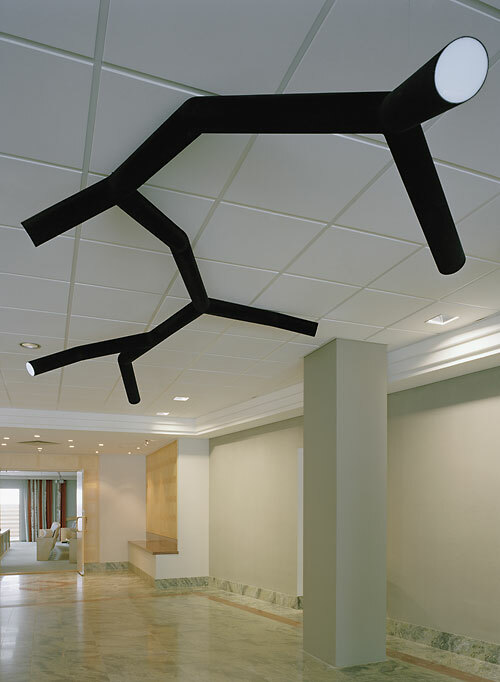 “Convoy” is a lighting installation which was made for the foyer of Swedens Permanent Mission to the EU in Brussels. When the decision to renovate the building was made, a number of new artworks were commissioned by the Swedish Art Council. 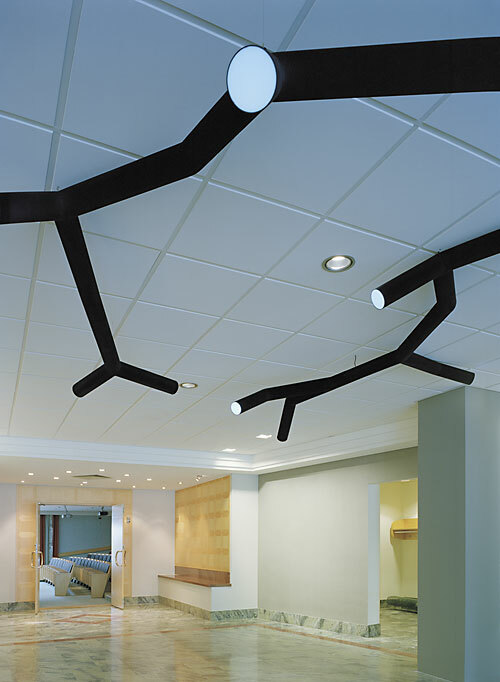 Convoy is a made to measure piece, built of PVC tube finished in black nylon flock. Visit David Taylor’s website – here.